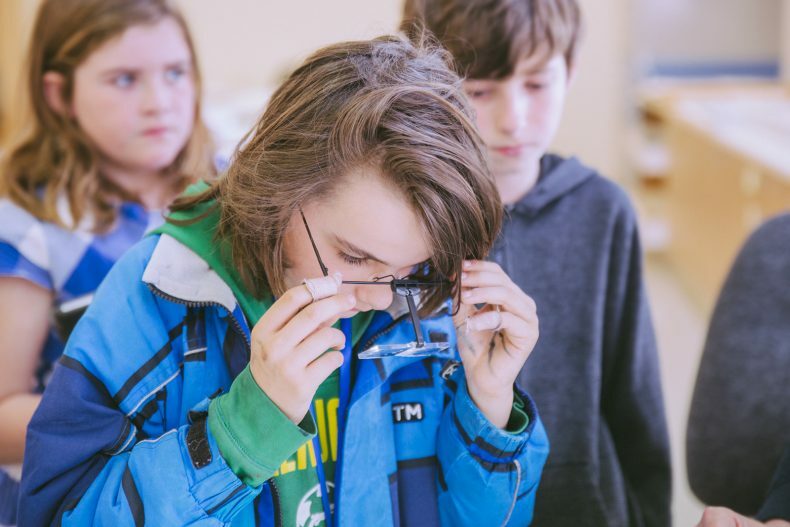 Our friends from Pukerua Bay School Museum have recently created their own YouTube channel to help them reach out to their audiences. 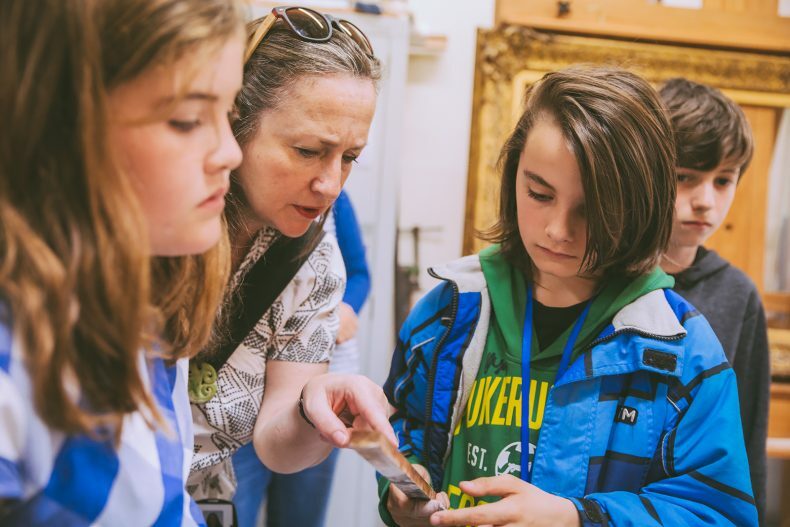 One of our favourite videos, so far, has involved the children explaining the process of restoring a painting for their current exhibition – The Secrets of the Art. 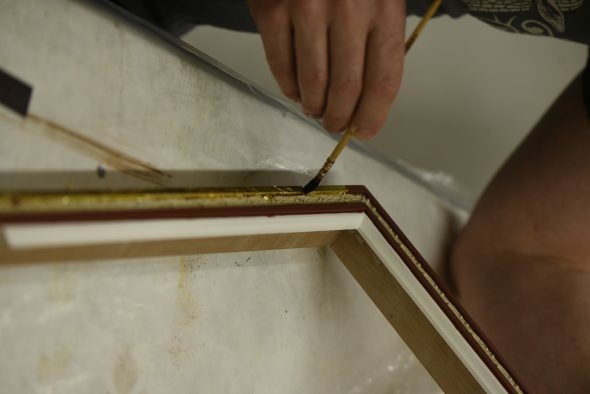 Video: Restoring a painting by Pukerua Bay School Museum. 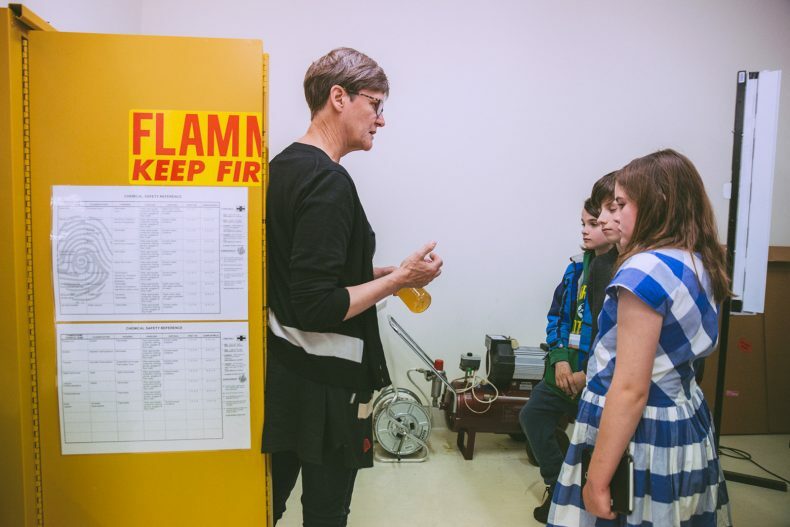 As a result, Te Papa’s Conservation team invited Aurelia, Paddy and Isaac to see their lab space last week and korero (talk) more about the important mahi (work) that happens here. 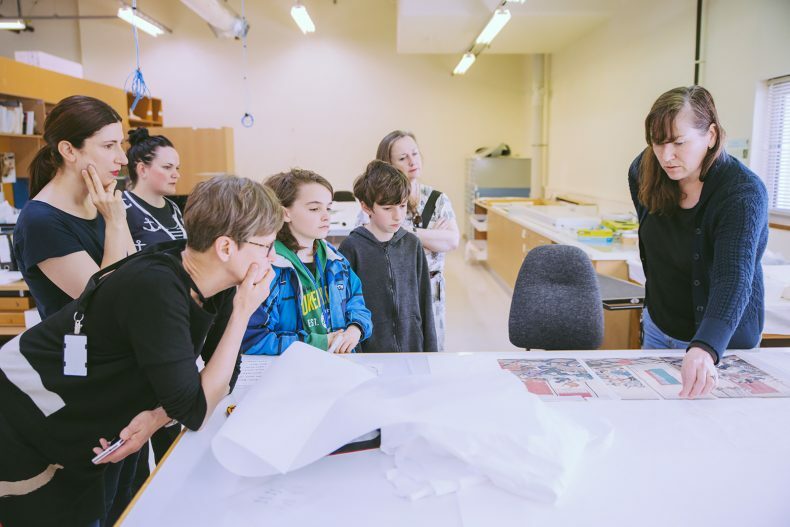 Pukerua Bay School Museum has many works on paper in their collections, so it was great to first meet up with Jennifer Cauchi (Conservator Paper) and see the prints she is currently working on. We found out how she works to remove materials like sticky tape, and uses watercolour paints for retouching (because the results aren’t permanent). Sometimes Jennie needs to reinforce paper with a backing, put it under very bright lights, or even wash it, to bring it back to its best condition. As paper conservation work is very detail orientated, having some magnifying specs definitely helps! 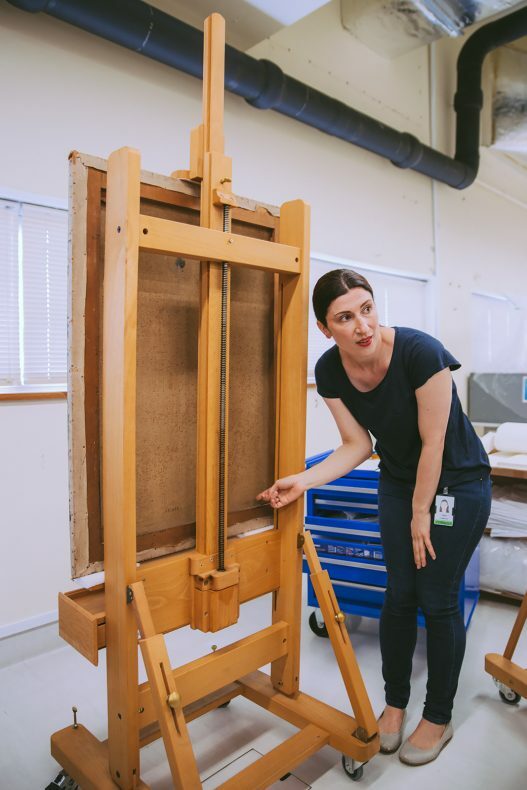 Linda Waters (Conservator Paintings) is helping determine the presence of a hidden Mervyn E Taylor mural in the old Soil building in Taita through collecting and analysing paint samples. 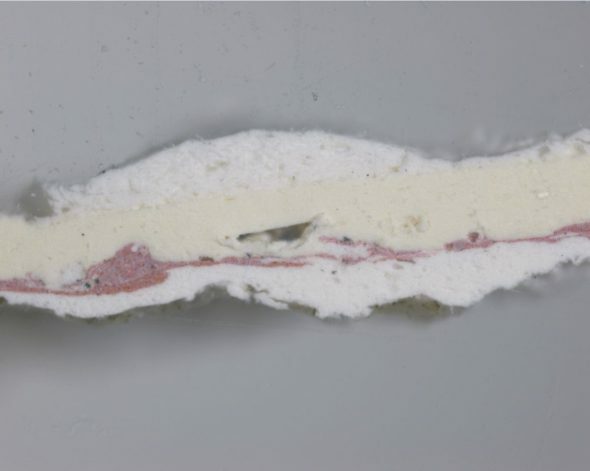 You can find out more details about this project in her blogs ‘Can you see through the paint?’ and ‘Using paint analysis to find a hidden mural‘. 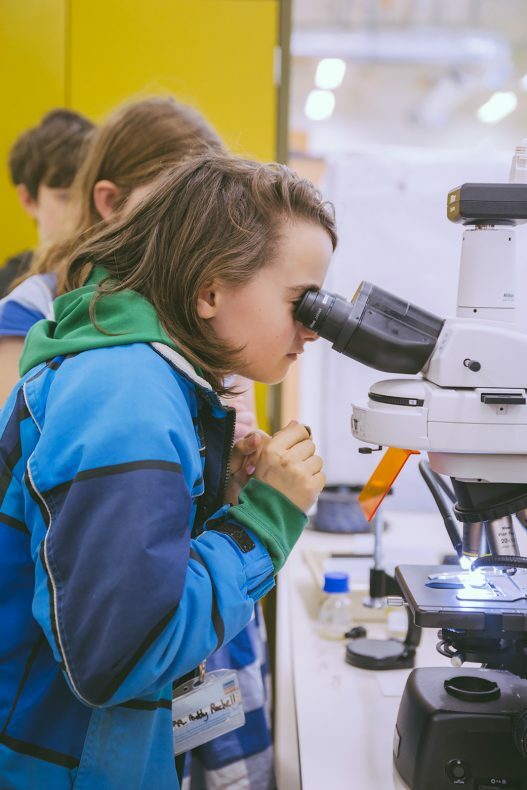 Linda talked to us about the processes involved, and helped us to position and look at some samples from the project under the microscope. We quickly noticed that there were several layers of white paint on top of that of the brightly coloured mural. Conservation must sometimes feel be a bit like treasure hunting, we think! Tijana asked Aurelia, Paddy and Issac to share their ideas about what conservation work might need to be done on these pieces, and how they would approach it. She then enhanced and extended the children’s understanding through outlining her own practice. We discovered that painting conservation also requires practical skills (like knowing how to take a painting off a stretcher so a tear can be fixed); chemistry knowledge (like knowing what materials will dissolve a vanish – or having the ability to test until you do); and artistic flair (for activities like exact colour mixing). 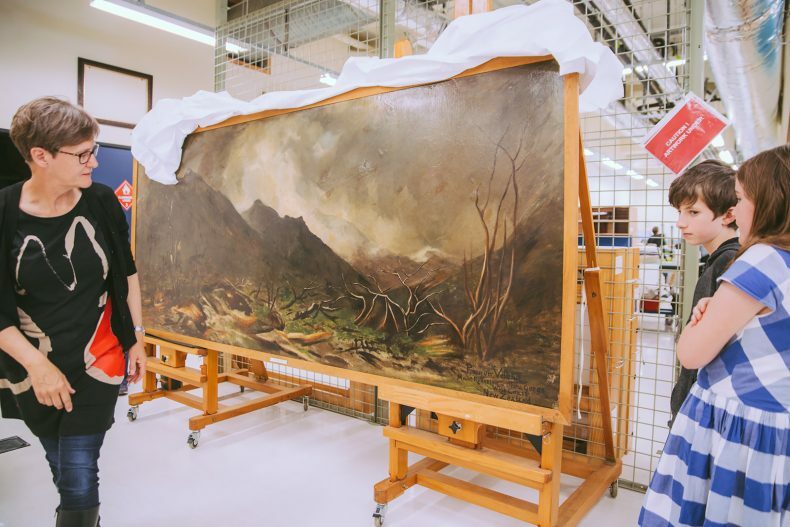 Painting conservation can also take a lot of time – Tijana thinks that the van der Velden might take a whole year to restore! 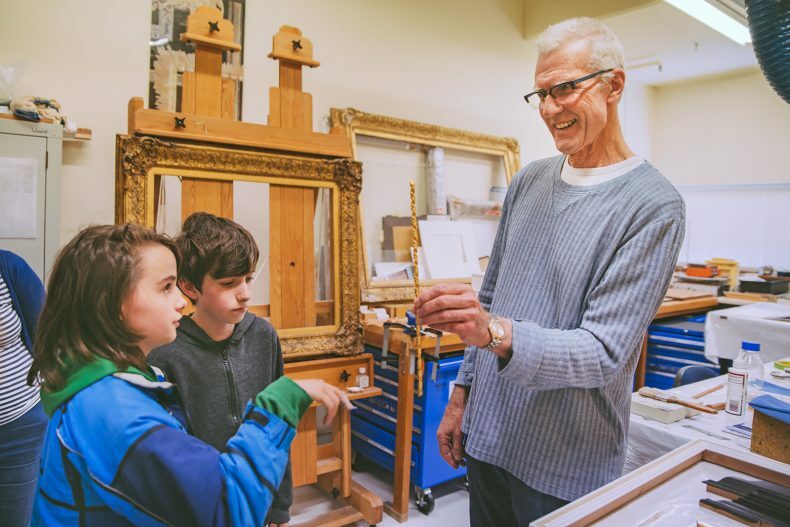 Frames are of particular interest to the history curator from Pukerua Bay School Museum, and so we were very lucky to also have time with Matthew O’Reilly (Object Support – Framer of Paintings). 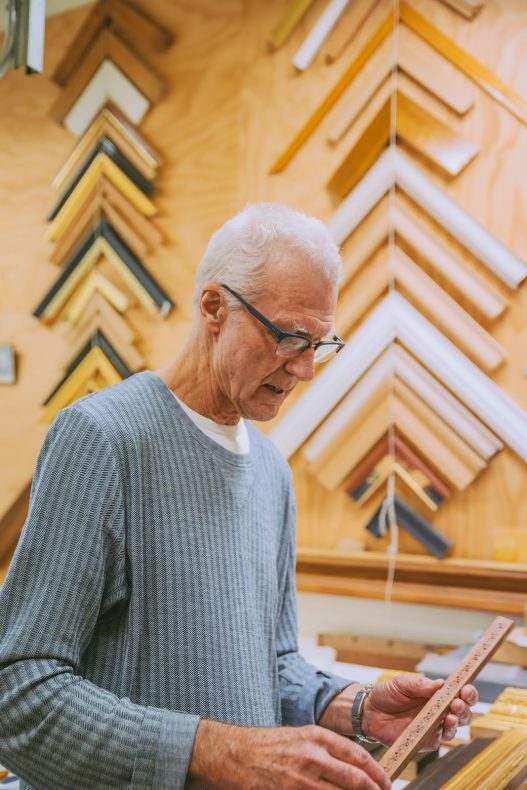 Matthew shared his process in making a frame-for-life for a painting. It starts with a lot of design thinking – because the frame he makes needs to fit the artwork based on its period and style. 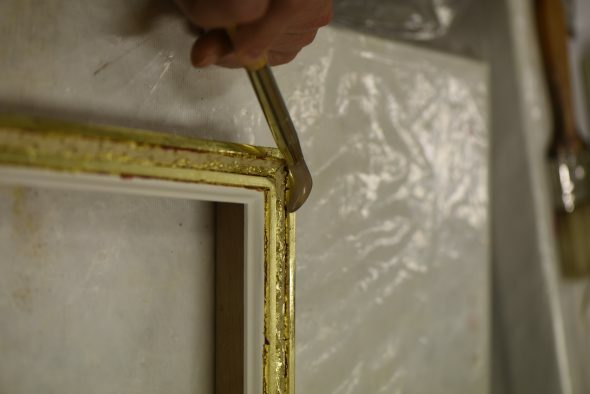 If the frame is going to be quite decorative, Matthew will often used a mouldable resinous plaster called composition ornament, or “compo” as part of his frames. 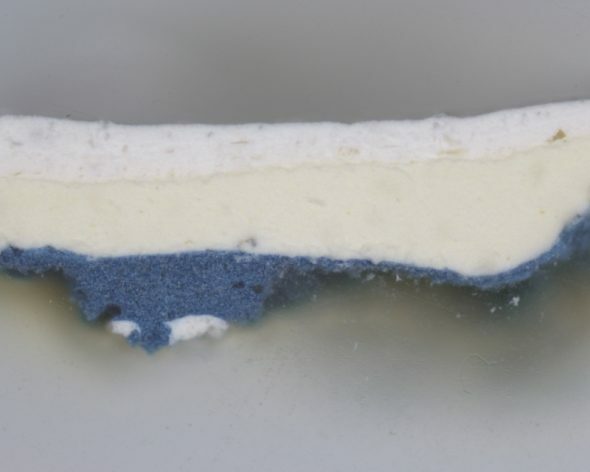 This can be shaped using a carved negative mould in wood. 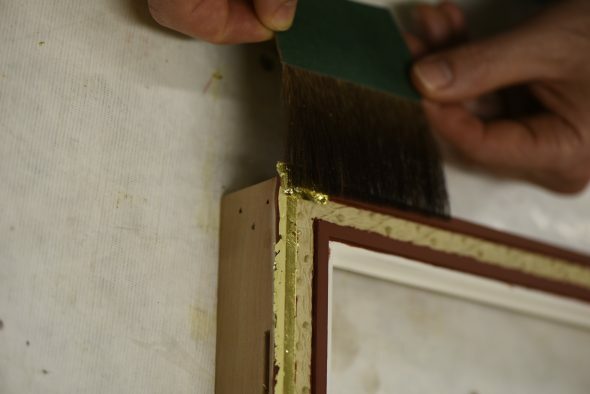 Compo is most often used today in gilded picture frames. 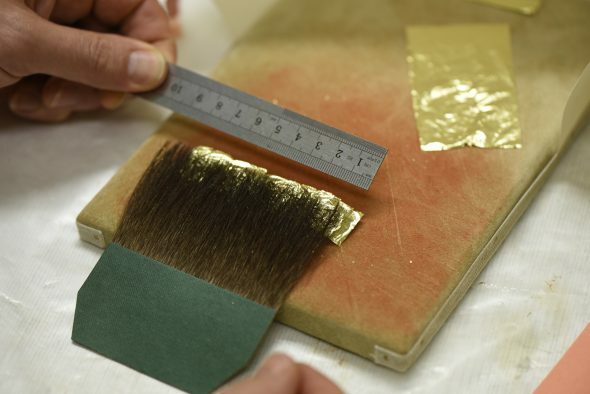 Matthew also very kindly showed us some gold leaf used in gilding – which had everyone very excited! Picking up such fine gold is a delicate process. 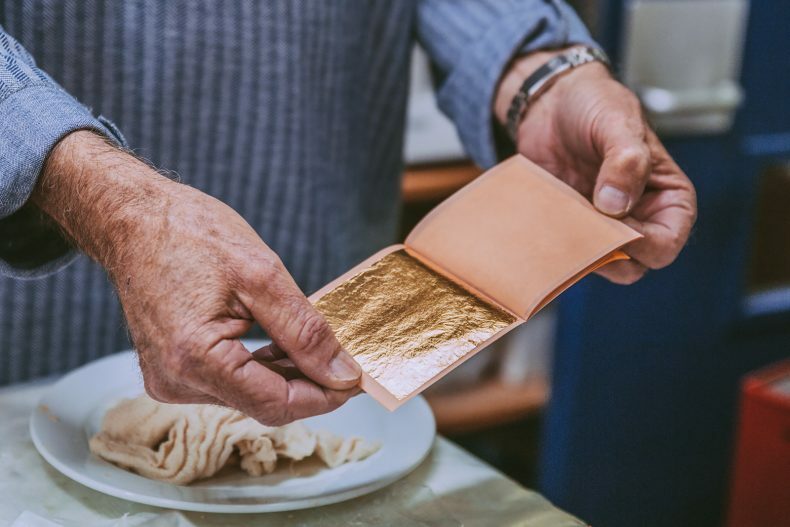 Aside from a very special brush called a ‘gilder’s tip’, you need a minuscule amount of oil. Matthew recommends sweeping the brush over your forehead, or even hair – but he will also use Vaseline. 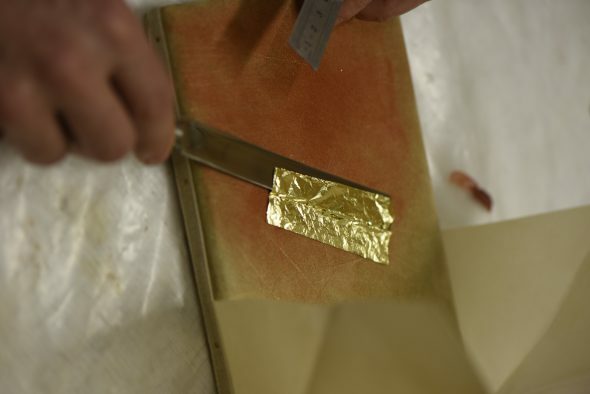 These pictures show some of the process of gilding. 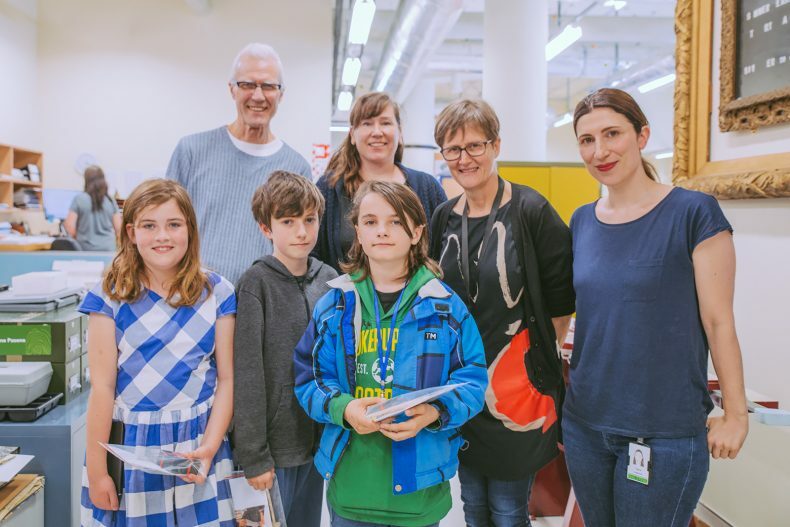 At the end of our visit, Aurelia, Paddy and Isaac were presented with their own conservation kit (with samples of pigments, canvas and paper, plus some scrap gold leaf!!) and to take back to their museum to help continue their restoration and framing work.